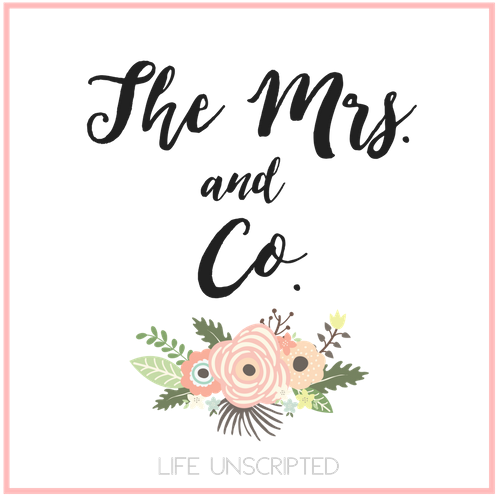 Day to Night Series- dark skinny jeans - The Mrs. & Co. Thanks for stopping by for the Day to Night Series! 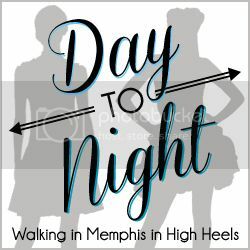 I am teaming up with Laura from Walking in Memphis in High Heels for her Day to Night Series! Every two weeks she picks a different item to style with a different blogger. One person will style it more casually for day, and the other will dress it up for night. This week the item is a pair of dark skinny jeans. 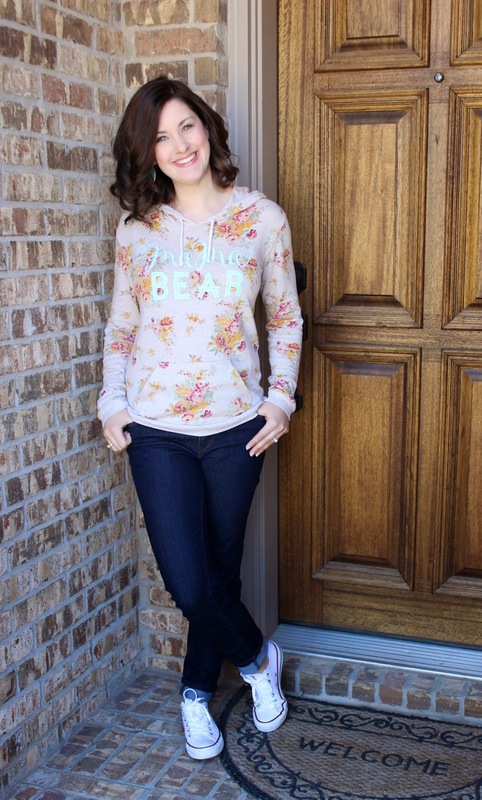 I dressed them down with a pair of white converse and my all time favorite sweatshirt from Loved By Hannah and Eli. Laura dressed them up with a beautiful neon shirt topped off with an adorable brown leather jacket. And the brown heeled sandals makes this outfit just perfect for spring date night! What's your favorite way to dress down or dress up a pair of dark skinny jeans? I am LOVING your hair color!!! Is that recent? I went brunette back in November but it's fading where the hi-lights were ( and some gray is popping up! ) but I'm hesitant to do any type of color because of pregnancy. You look beautiful mama! And I need to finally order one of those mama bear shirts. I have been eyeing them for so long! You are just too darn cute! I love the hair color and that Mama Bear top!